Working with Phil was fantastic. This was his business’ first website, and Phil was very enthusiastic and gave us plenty of creative freedom in all aspects of the design. It was a joy to work with his labels and inject a feel of the countryside into the site. Up to this point, the ciders had been promoted via word-of-mouth recommendations and sales at country fares. 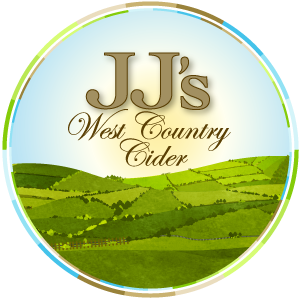 The new website needed to display detailed product information, list all available ciders and buying options and offer easy contact methods. Our brief was to put JJ’s Cider online. Phil still felt very new to the web and asked for a simple, static website to show information on his ciders with a view to possible upgrading to a CMS in future. From the reply I received after sending my initial contact email, I knew I was going to be in a safe pair of hands! If you are anything like me, and don’t know the first thing about computers, then it is fair to say we need help! After chatting with a friend about needing a website for my new business, I was recommended Prisca from Eyedea Studio Ltd.
From the reply I received after sending my initial contact email, I knew I was going to be in a safe pair of hands! I have never conducted business remotely before, so this was a first for me. With swift responses and clarity of explanations, getting my website sorted was not nearly as hard as I expected! After giving my brief and explaining what I wanted from my site, Prisca worked with me every step of the way. She gave helpful advice and added ideas which were all the little extras that make my site even more special! I feel that, while working together, we built up a great relationship which made things so much easier and more pleasant. I can’t thank her enough for designing my amazing web site. The response from customers has been amazing! They love how clear and easy it is to look at all the pages and leave their details for orders or questions. Prisca also set me up with a new Gmail account to capture all my business from the website, so I never miss a message! On a personal note, I want to say thank you for making my first experience online an easy one. Your help and support was amazing and I can’t recommend you enough!!!! As my business grows and new products come along, you can be sure I will be asking for more of your help to add to my site!! Many thanks again, Prisca, and I look forward to working with you again! !